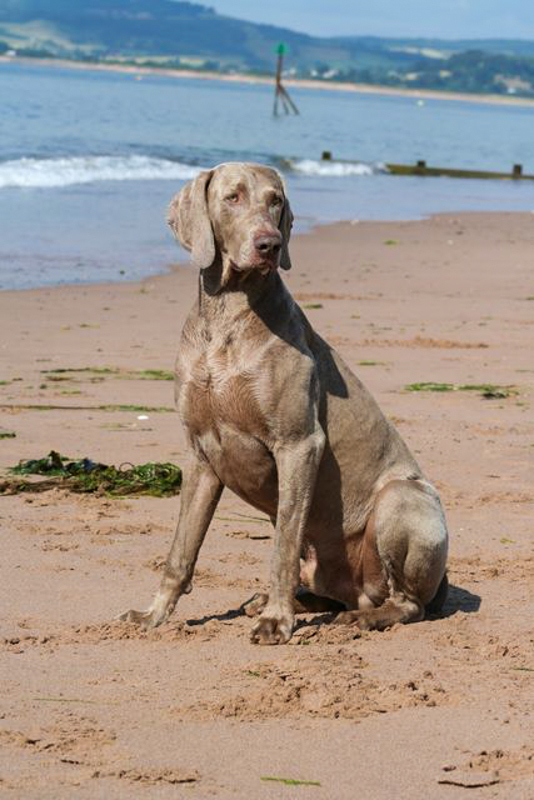 Teal gained his Show Certificate of Merit (ShCM) at two and half years old in May 2005. 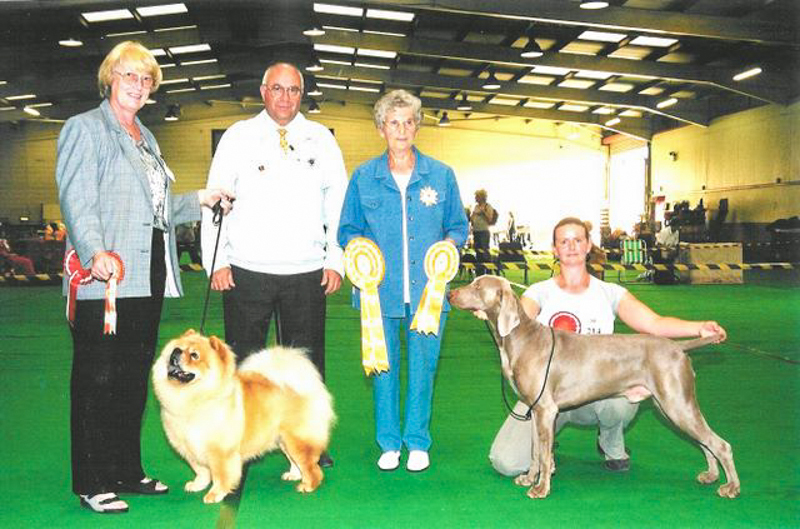 Qualified for the semi final of the Kennel Gazette Junior Warrant Competition 2004. Achieved his Junior Warrant and received his Stud Book Number at 13 months old in September 2003. Teal worked on our local shoot and was also invited to another shoot where they found his nose invaluable in locating game, and were quite taken a back on discovering the work of an HPR!!! 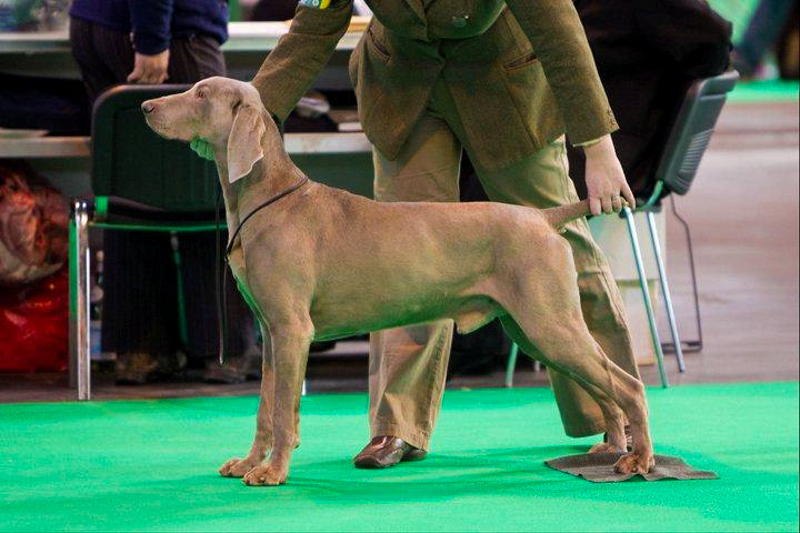 Teal surprisingly for a Weimaraner also worked well as a peg dog for Mark. Teal was such a character, he liked to be the centre of attention and made us laugh so much with his antics, you could also guarantee Teal had something in his mouth to greet you with whether it was socks, slippers, tea towels or my mobile phone!!! He was affectionately known as “Tealy Tea Towel”. Teal had such a loving nature and a great temperament to go with it and he loved giving bear hugs, such a gentle soul and he is greatly missed. Always a Champion in our hearts.